The Polish Country Kitchen Cookbook is a book that combines the recipes of some of the most well known Polish dishes with the history and culture that created them. 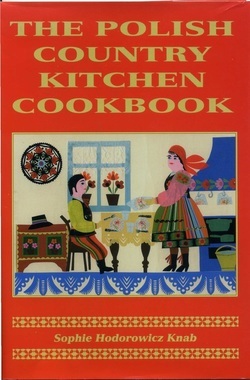 Arranged according to the cycle of the seasons, the cookbook explores food and its production in a Polish country kitchen including traditional dishes for Christmas Eve, foods taken to be blessed on Holy Saturday and consumed for Easter breakfast, making your own sauerkraut, as well as old kitchen gardens. It is filled with numerous photos and illustrations of implements used in an old Polish country kitchen including stoves, cupboards and cooking utensils. 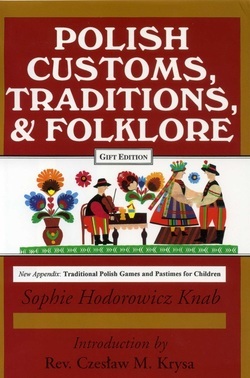 ​Polish Customs, Traditions, and Folklore is for anyone who wants to learn about the culture and traditions of Poland. It is easily organized month by month , beginning with December and Advent and continuing through until November. It covers the important holidays of Christmas and Easter, harvest celebrations , feast days, flower and herb lore, wedding rituals, birth and death customs, as well as traditional games and pastimes for children. ​Wearing the Letter P: Polish Women as Forced Laborers in Nazi Germany 1939-1945 presents an unflinching portrait of the lives of female forced laborers during World War II. It begins with the occupation of Poland; the roundups by the police and Gestapo; the horrors of transit camps; the living and working conditions of Polish women in agriculture and industry; the anguish of sexual exploitation and forced abortions; the stealing of Polish infants as well as the starvation of Polish children in German-run nurseries. All of it was experienced under circumstances of extreme discrimination and the threat of being sent to concentration camps. 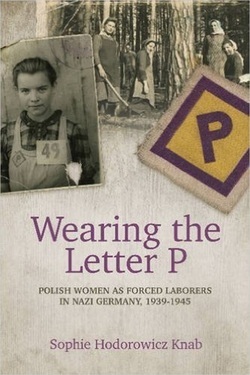 Wearing the Letter P: Polish Women as Forced Laborers in Nazi Germany 1939-1945. 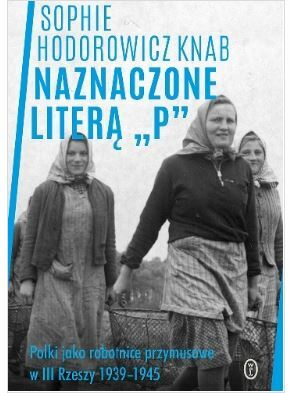 Translated by Wojciech Tyszka and published by Wydawnictwo Literackie in Kraków, Poland, the book is dedicated to the half million Polish women and girls who suffered and to those who died under the brutal forced labor system run by the Germans during World War II. It begins with the occupation of Poland; the roundups by the police and Gestapo; the horrors of transit camps; the living and working conditions of Polish women in agriculture and industry; the anguish of sexual exploitation and forced abortions; the stealing of Polish infants as well as the starvation of Polish children in German-run nurseries. All of it was experienced under circumstances of extreme discrimination and the threat of being sent to concentration camps.